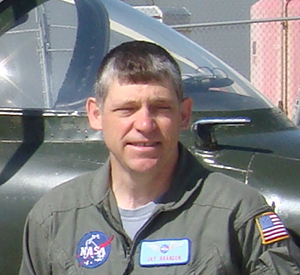 Since 1983, Jay has been a Senior Flight Dynamics Research Engineer at NASA Langley. There he is responsible for formulating, planning, conducting, and reporting on innovative research using analytical tools, wind tunnel tests, piloted simulation and flight test techniques. Mr. Brandon holds a BS and MS in Aerospace Engineering (1982,1984) from the University of Kansas. He also graduated the National Test Pilot School: Test Pilot (Flying Qualities), Class 98B. The domain expert for this talk is Rich Wahls from Langley Research Center.